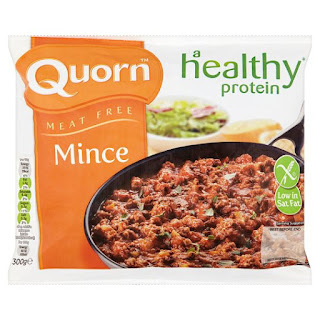 Review: What is Quorn and is it safe to eat? This is too much information but I've suffered from chronic constipation ever since I was a kid. My diet is more balanced as a child/teen but now I predominantly eat meats and carbs so I've been trying to incorporate more fiber and vegetables in my life. Quorn™ is cheap. I can't remember the exact price but it was less than 100php (less than $2) for 200g of the mince variety. It has a 5g of fiber per serving and a decent amount of protein (14g) so I decided to give it a try. While Quorn™ is meatless, it is not a vegan product because it contains egg. There is also an allergy information on the package, warning people that there are rare cases of allergic reactions to Mycoprotein™. They also claim that the protein and fiber content in the product may cause intolerance to some people. Their main ingredient is Mycoprotein™, which was derived from a mould/fungus called "Fusarium Venenatum". On the package it says the product is produced by fermentation. Is Quorn safe to eat? I believe it's not any more dangerous than the usual (processed) foods that most people eat on a daily basis. Plus Mycoprotein allergy is rarer compared to say, peanuts or soya. If in doubt, don't eat too much all at once. Cook it way before the meal time, consume a small amount then store it in the fridge in the meantime. They say allergic reactions should start at around 45 minutes after consuming it, so if a few hours has passed and nothing still, you're most likely not allergic to it. According to the instructions on the package, it says you need to simmer it in medium heat for 7 minutes in your chosen sauce. 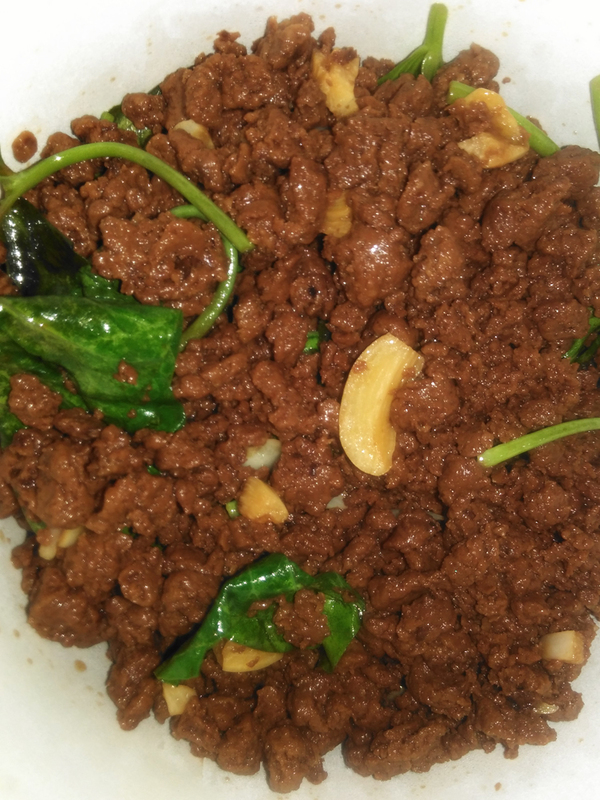 I wanted to use it for stir fry, but you have to cook it direct from the freezer and the mince chunks got stuck together into big lumps so I really can't skip simmering it. After cooking it in garlic and (a lot) of seasoning/condiments, Quorn™ itself is still somewhat bland. Will I buy it again? I don't know. It's cheap, so I might consider buying the other variants in the future just for the sake of trying it out but I think I'll stick with tofu for now. Even though tofu doesn't have much fiber content and it has less protein content than Quorn™, it's still cheaper and absorbs flavor better. Tofu also has less ingredients (note: depending on the brand, I've also seen some tofu packages with a lot of seemingly unnecessary ingredients), and the actual manufacturing process of tofu is clearer. Any leftovers with Quorn™ also has to be consumed within 24 hours (obviously as long as it was stored covered inside the fridge) which is a bummer. I often cook food in advanced (when I have ample time) and like storing them in the fridge so I can just heat them up. Knowing that I can't consume them after a day lessens the prospects of me buying it again.